Flertex Sinter is actively present in the automotive, motorcycle and bicycle competition market with its well-known brand “CL BRAKES”. The company continues to develop high-tech products in order to offer a more cost effective and technically advanced packages to its customers and partners through its network in more than 40 countries. 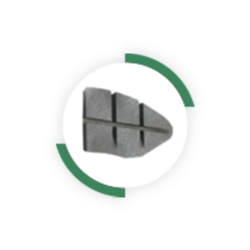 For many years CL BRAKES has increased its presence in the world best motorsport teams and built a solid technical expertise which allows the company to offer a wide range of high performance sintered metal brake pads suitable for all kinds of racing events. All our pads are sintered metal and are manufactured in France on the historic site in Gennevilliers.